Closing out Return to the Guild Week with this highly popular product from the highly prolific Trevor Armstrong. 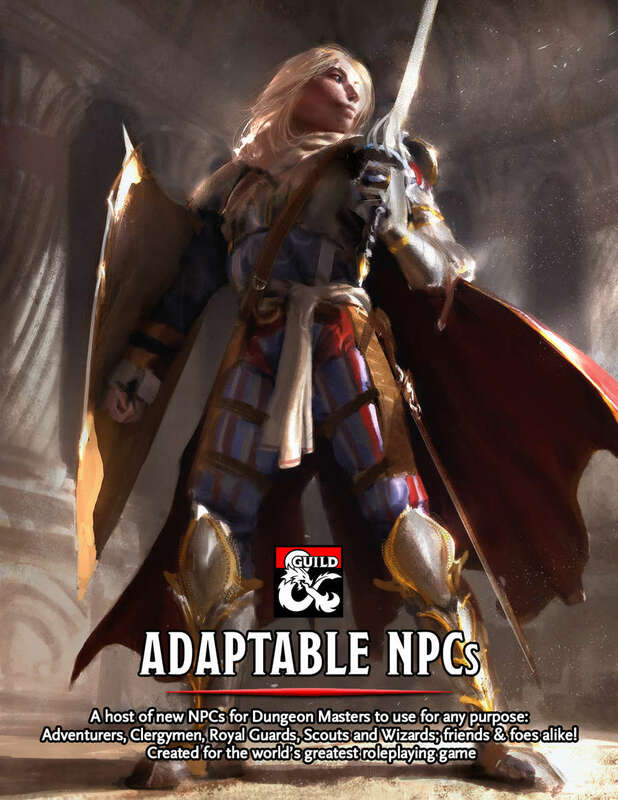 With the DM’s Day Sale underway, Adaptable NPCs is 40% off, and a great source of people (70 NPCs, fully statted and fleshed out) and adventure hooks to round out your Dungeon Master toolkit for one-shots and ongoing campaigns. Contained within this supplement are 70 NPCs with unique statblocks (created by the team behind the best-selling Grimlore’s Grimoire), each NPC contains custom art, lore, and a stat block balanced for the 5e Challenge Rating system. Additionally, 8 short adventures have been included. These adventures have been created for Dungeon Masters to introduce their players to some of the Adaptable NPCs with minimal preparation. Each adventure has high-resolution printable battle maps created by Justin Andrew Mason (DM & Player versions are included), an adventure background, a recommend party level, and room descriptions with encounters (both combat and roleplaying) utilizing NPCs from this supplement and the 5e monster manual. Note: The maps have been included as an additional download in a separate .zip file.